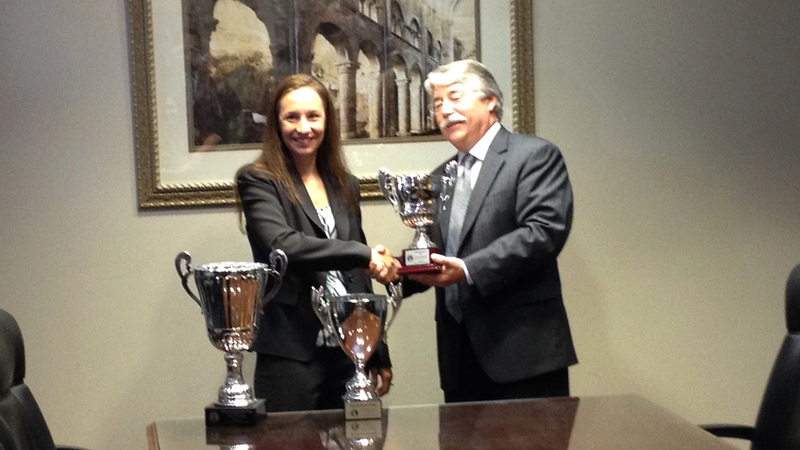 BCC Presented With the Attorney General’s Cup for the 3rd Year In A Row! 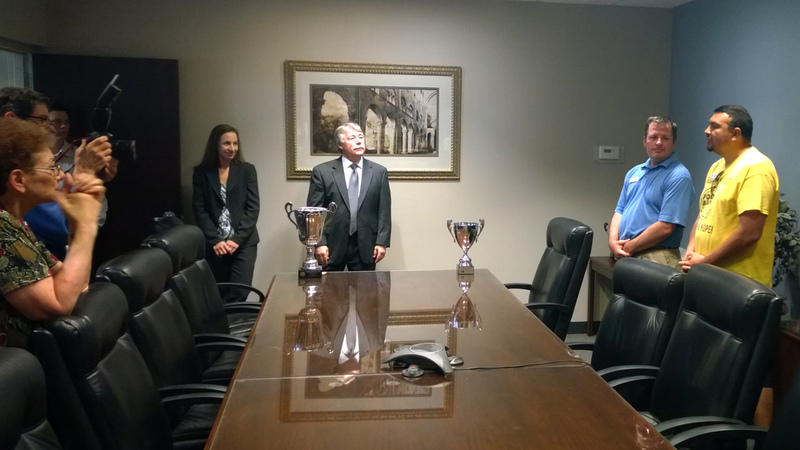 Attorney General Greg Zoeller once again visited BCC to present the General’s Cup to BCC for winning the large firm division of the March Against Hunger for the 3rd year in a row. BCC is greatly appreciative to all of the staff members that have made these victories possible. MERRILLVILLE, Ind. – Indiana Attorney General Greg Zoeller recognized Burke Costanza & Carberry today for their outstanding contributions in the sixth annual March Against Hunger food drive. 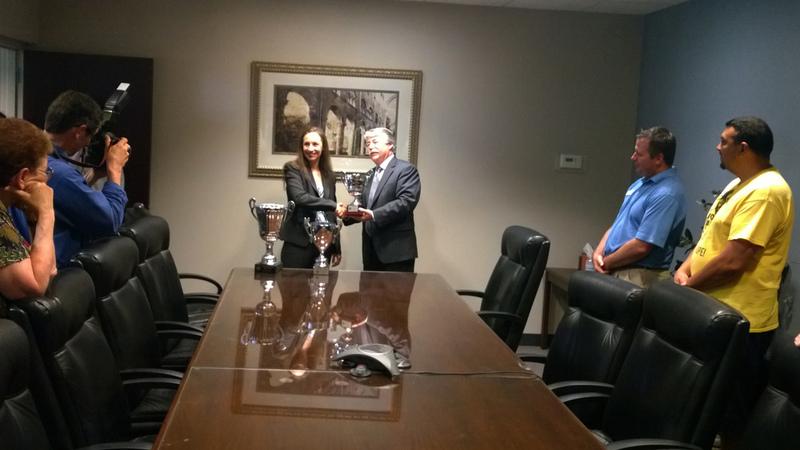 The firm accepted a trophy, known as the “Attorney General’s Cup,” for winning the large firm division by donation $4,121 and 1,569 pounds of food to the Food Bank of Northwest Indiana. The trophy was presented and participants were recognized during a formal award ceremony today in Merrillville. 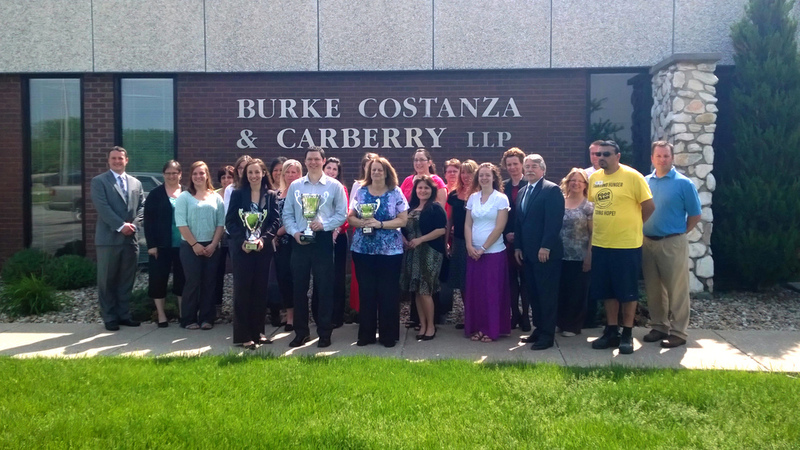 “We are so proud of Burke Costanza & Carberry for taking home the Attorney General’s Cup for the third year in a row! They have really shown a deep dedication to the Food Bank and to hunger relief, and we are extremely grateful to them and to the Attorney General for making March Against Hunger happen,” said Food Bank of Northwest Indiana Executive Director Arleen Peterson. The sixth annual food drive competition was between 43 participating law and nonprofit groups from Indiana and Kentucky. To help coordinate the donations, Zoeller teamed up with the Indiana State Bar Association (ISBA) and Feeding Indiana’s Hungry (FIsH) which serves as the umbrella organization for 11 regional food banks. In total, the March Against Hunger food drive competition generated $49,177 and 8,188 pounds of food for the state’s food banks this year.